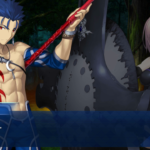 This article contains the stats, strategy, and guide for Lancer - Cu Chulainn. 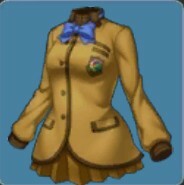 We will update this as soon as the game comes out. Cu Chulainn is the mighty hound of Ulster and has been summoned in the prior wars. His prowess has been sung about all throughout Ireland. 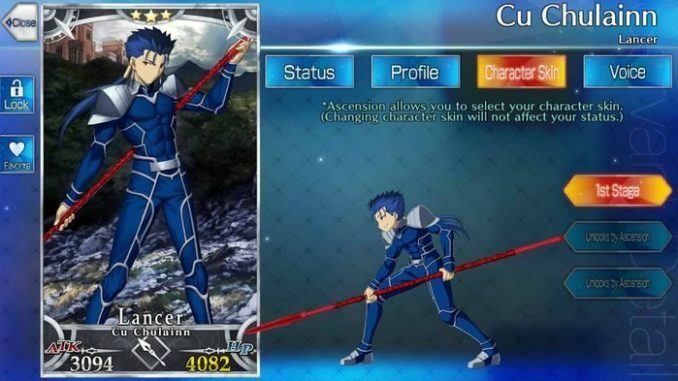 Cu Chulainn is a Lancer class servant from Fate/ Grand Order and appears as a 3 star servant. 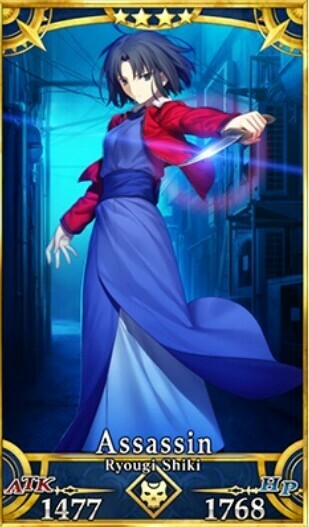 Like most Lancers, he focuses more on single-target attacks while fighting with his spear: Gae Bolg. 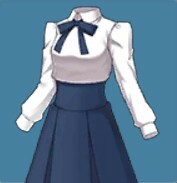 However, Cu Chulainn is also one of the few servants that has multiple forms. His other forms include Cu Chulainn Berserker, Cu Chulainn Caster, Cu Chulainn (Fate/ Prototype). 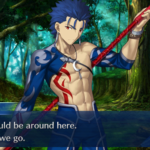 He appears as Lancer (Fate/ Stay Night) in the series. Cu Chulainn is a perfect Servant to use at the end of the party. He has a high chance of survivability through his Active and Passive Skills. His Gae Bolg Barbed Spear that Pierces with Death is extremely useful as there is a chance that it can cause instant death on an enemy. Another hero works well is Cuchulainn (Prototype) due to them being able to chain Quick Cards. While chaining Quick cards, it increases his chances to inflict critical damage. EMIYA (Assassin) increases his evasion and allows him to sustain longer periods of time in battle. 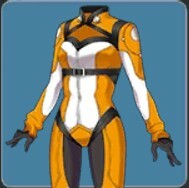 However, this kind of build is skill dependent and may lose its credibility due to cool down periods. Medusa (Rider) relies heavily on Quick Cards that even her Noble Phantasm is a quick card. Chaining those will allow quick elimination of enemies and also constant critical hits. The sequence would be using Bellophron and then Gae Bolg to annihilate the enemies. 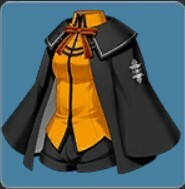 Rin’s Pendant – Increases his already heightened Critical Damage. Due to him already having a heightened crit rate due to his Quick Cards, he can continue dealing heavy damage towards enemies in a single blow. Wolves of Mibu – Increases the effectivity of Quick Command Cards which boosts his combat power. Holy Night Sign – As an event craft essence, it’s easy to limit break at the same time focuses on his Quick Card output and Critical Hit ratio. Moonlight Fest – This particular craft essence works well with his Quick Card combos plus his Critical Hit ratio. 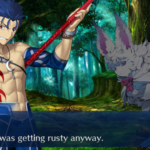 If you’re looking for Cuchulainn’s Interlude Quest, click here. Magic Resistance C Increases own resistance to debuffs by 17.5%. Grants self evasion for 3 hits. Deals significant damage against a single enemy. Chance to cause instant death on one enemy. Known as the mighty hound of Ulster, Cu Chulainn is a celebrated hero of the Ulster cycle. His mother is the sister of King Conchubar where he would watch other boys play. However, the endless teasing would soon cause his battle fury to emerge. With that, Cu Chulainn’s legend began. His original name is Setanta until he killed Culann’s hound. Because of this, Setanta then swore to repay Culann. To mark this, he changed his name to Cu Chulainn which means “Hound of Culann”. From then on, he swore to be Culann’s hound for the rest of life. While training with Conchubar and his men, he also found a foster father in Fergus Mac Roich. The two often times exchanged blows and learned battle tactics from one another thus, creating the knights of the red branch. Cu Chulainn survived for a long time, even battling against many of Conchubar’s enemies. When one of the rival kingdom’s dared steal the bull of Ulster, all the knights save Cu Chulainn stood strong. Because of this, Cu Chulainn fought thousands and thousands of men before retaking the bull. 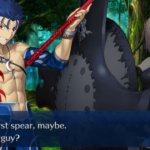 However, Cu Chulainn soon reached the point where Conchubar asked him to find a wife. None would satisfy him except Emer, daughter of Forgall the Wily. To earn her father’s approval, he had to train under Scathach – the warrior woman who lived in the Land of Shadows. He survived as her pupil, slew Emer’s father, and took Emer as his wife. Despite the many battles, his life was short lived. As his water turned into blood, he knew he wasn’t going to return alive. His deathblow came from Lugaid, a warrior from a rival tribe. Thus, he soon became a heroic spirit of the Grail to once again battle. 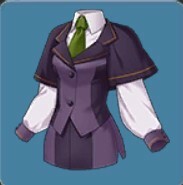 Nope this is not how Be Elegant works. It’s suppose to increase start generation rate, not Star Absorption rate. I think Cu Chulainn BBQQA deck may mess with Jeanne’s art chain, thus making it’s more difficult to ultilize her NP. Sorry for my bad English but i don’t understand how this work. When EMIYA (Assassin) uses Scapegoat, he can redirect attacks to another target. This allows Cu Chulainn to increase the duration of his Protection of Arrows for a longer period of time. However, Scapegoat only works for one turn so, the one turn delay may not be worth it. 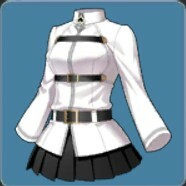 So the same result can be achieved by using any order servant with taunt skill?